Wilbury Tours specialises in plein air painting holidays that take advantage of the beautiful landscapes, arts, food, wine and activities in the beautiful Southern Lakes region. All of our tours are hosted by experts who are intimately familiar with the region. Located in the lakes district of the South Island of New Zealand, Wanaka is a visitor’s paradise. An hours drive from Queenstown and you will arrive at your home away from home. 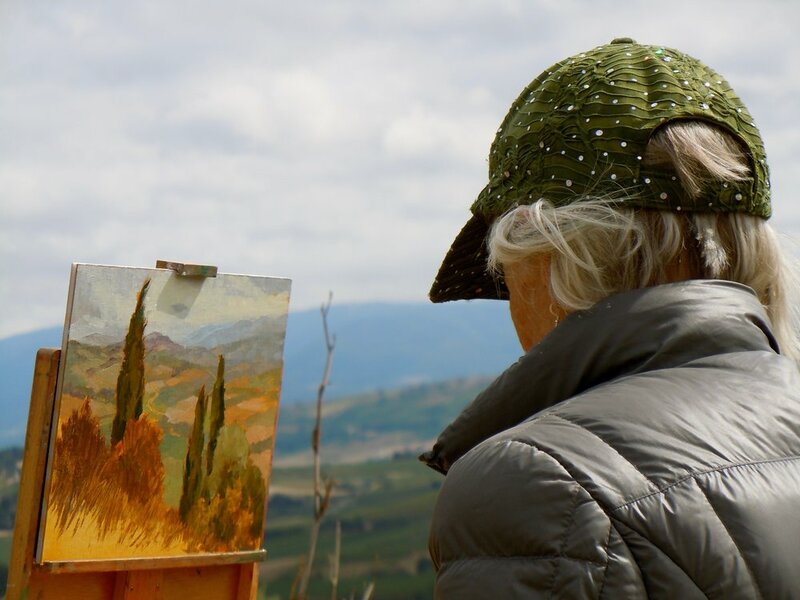 From lakeside landscapes surrounded by majestic mountains, to original gold-rush shanty towns and scenic vineyards, there is no shortage of visual beauty to ignite any artists’ imagination. Renowned for the rugged and varying landscapes, New Zealand is the perfect location for you to explore and paint memories to take home. Spend your days with us as we explore the highlights of this stunning region. Find out for yourself just why Peter Jackson chose New Zealand as Middle Earth. During your stay, you will be lodging just minutes walk from the spectacular lakefront in Wanaka, that in itself is a painting. All amenities are close at hand, with local cafes, restaurants, banks, shops and a supermarket being all within easy walking distance. During the day, we will go on excursions to specifically selected painting sites that will satisfy your painting needs. Whether it be quaint architecture, breathtaking landscape, neatly planted vineyards, or striking mountains, you will not be disappointed. Wilbury Tours Ltd., specialises in small, intimate tours customised to suit both the art instructor and the students. Founded by Penny Willocks, a native New Zealander, whose expertise in tour direction coupled with her knowledge of her country ensure Wilbury Tour guests the trip of a life time. Follow the link below to find out more about about the painting holidays Wilbury Tours organises. Whether your medium of choice is oil or watercolour, pastel or mixed, Wilbury Tours is able to customise a workshop to accommodate all.